Are you the room parent or volunteer helping to plan this year's fall holiday party for the classroom? SignUp.com is your go-to class party destination! 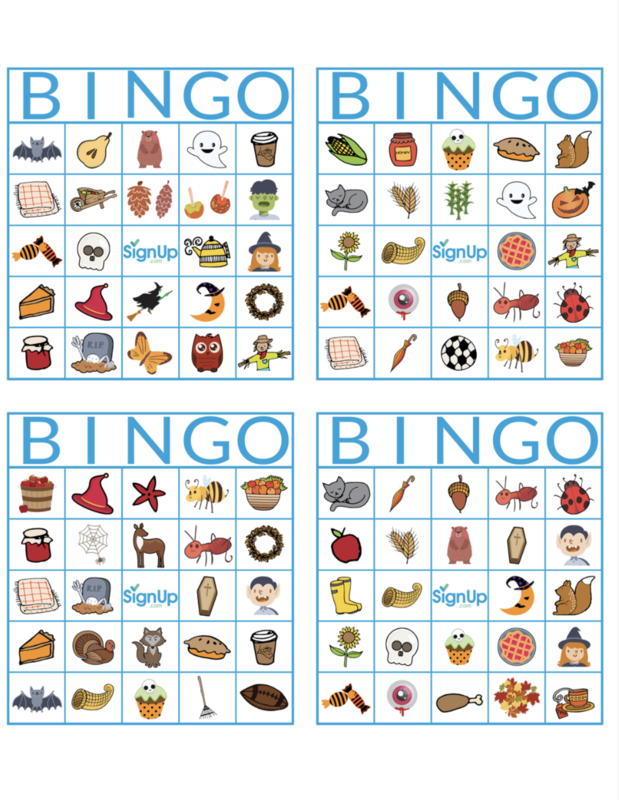 Get started planning everything you need for your class party and check out these Fall bingo cards for a fun classroom activity at this year's Halloween party. Hosting a block party this Halloween? 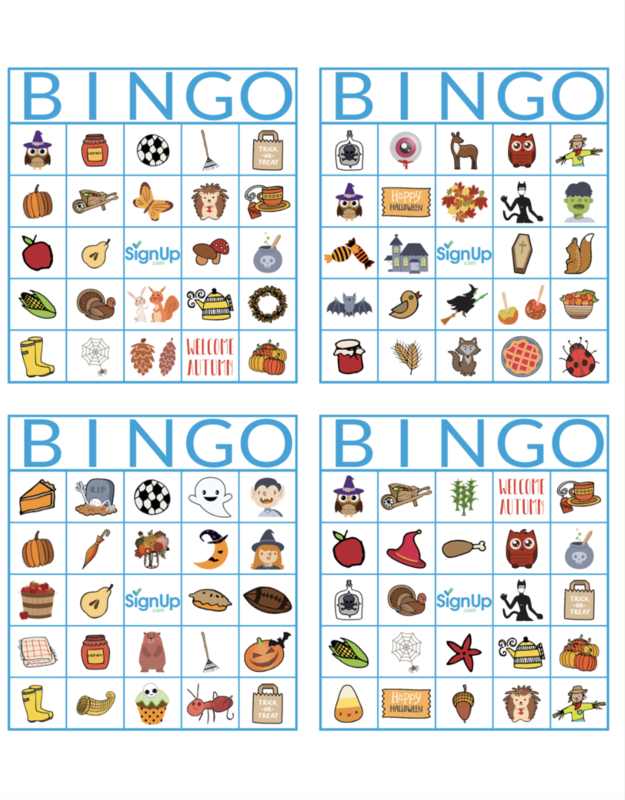 Fall Bingo is fun for all! Game Play Instructions: Place the individual numbered callout pieces in a bowl or hat and mix well. 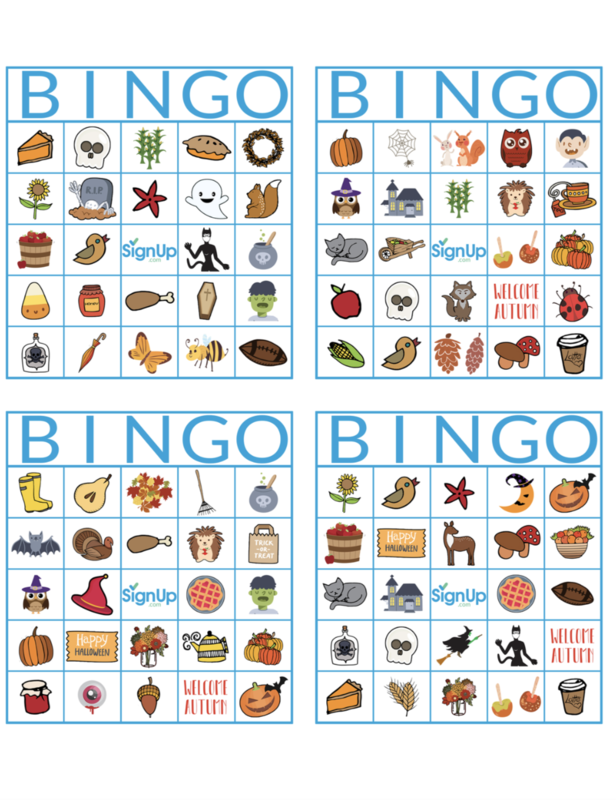 Each player gets a bingo card and bingo chips or candy to mark the squares on their scorecard as they are called. Choose a player to read out the name of the picture. Draw one piece at a time. To win a player must cover 5 squares in a vertical, horizontal, or diagonal row. Get started planning the perfect holiday classroom party with SignUp.com. 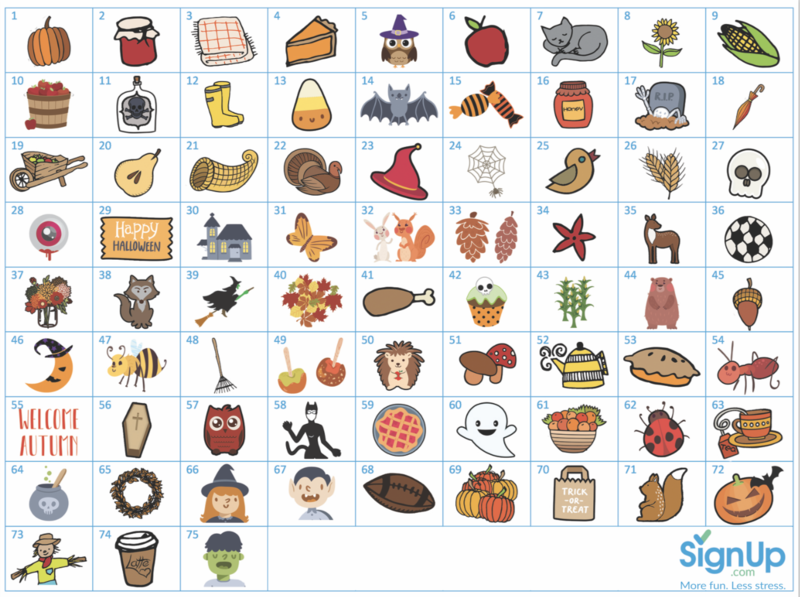 Find festive class party ideas, tips & tricks in our Class Party Resource Center and Halloween-specific party ideas with fall-themed snacks and activities in our Fall Class Party eBook.